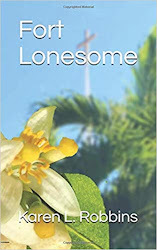 "" Writer's Wanderings: How Fast Can an Alligator Move? A couple of weeks ago we struck out for the Everglades with our son and his family only to have the rain move in as we arrived. Now normally in Florida, it rains a bit and then the sun comes out but this day it was more like Cleveland or Seattle. One of those fronts had dipped down far enough to bring us some rainy--not snowy--weather. We drove around a bit but decided the kids were going to get too restless waiting for the rain to stop and it wasn't promising anyway. As we started for the exit to the Everglades Park, we noticed some wood storks just off the side of the road. My son turned the van around and my daughter-in-law and I rolled down windows and took pictures through the pouring rain. We looked at each other and said at least it wasn't a completely wasted day. We started up again. Suddenly Lori shouted to Ron to stop! There in a puddle not far away from the storks was an alligator and he had something in his mouth. Ron patiently backed the van up and we rolled down the windows again. 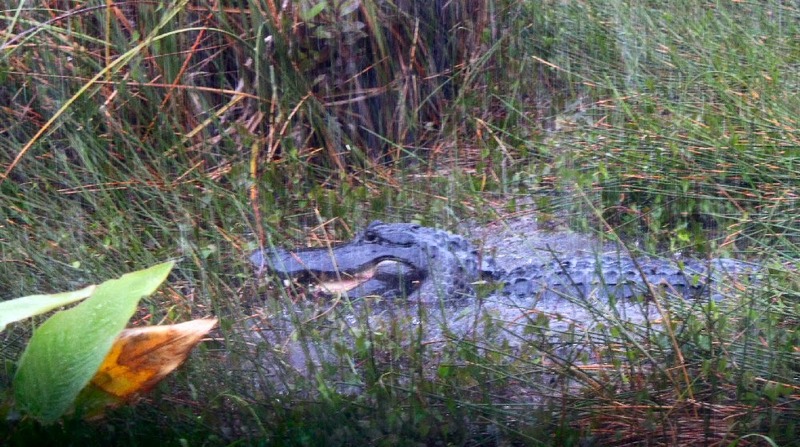 Trying to keep our cameras dry, we zeroed in on the alligator but couldn't tell for a few moments what he had in his mouth. He sat, mouth clenched for a few minutes and then threw his head back trying to get a better hold or maybe trying to crush his prey. That's when we realized it was a turtle. The turtle took its opportunity to seek freedom and tried to scurry off--as much as a turtle scurries. That's when the alligator made its amazing move. He propelled forward a couple of feet in a blaze of fury to recapture the turtle. I cannot think of what I can reference his speed to--superman speed?. In the blink of an eye he was upon that turtle again. Fortunately for the turtle, we think, got away. Perhaps it wedged under something. While Lori captured a picture of the alligator where you can make out the turtle, I did not. I now have lens envy. Stunned and amazed at what we had just watched, we put the windows back up and wiped up the rain from our doors and cameras. This was definitely not a wasted day in the Glades. 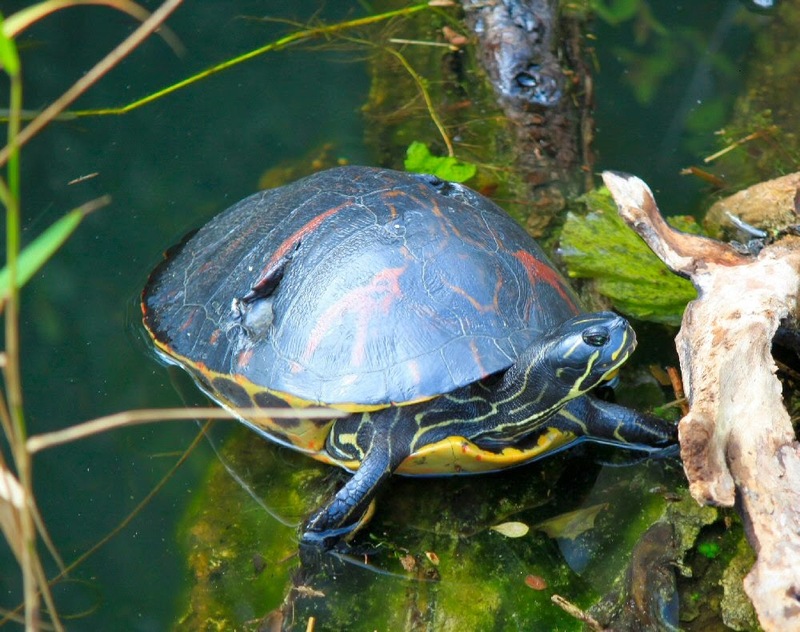 By the way, when we returned on a sunny day, we happened past a turtle that had two prominent holes in its shell. Too far from where we saw the encounter to be the same turtle, we knew what those holes meant. 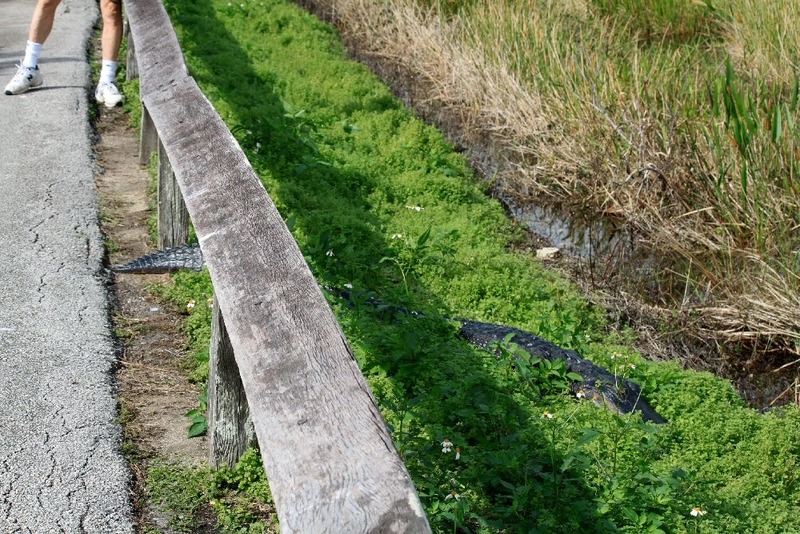 And we totally kept a respectful distance and a careful eye on the alligators that lined the path on the Anhinga Trail.